It's a return home for Napravnik, who began her riding career at Pimlico in 2005. Other Preakness candidates at Churchill Downs galloped on Saturday, including Departing, Governor Charlie, Oxbow, Will Take Charge and Titletown Five. 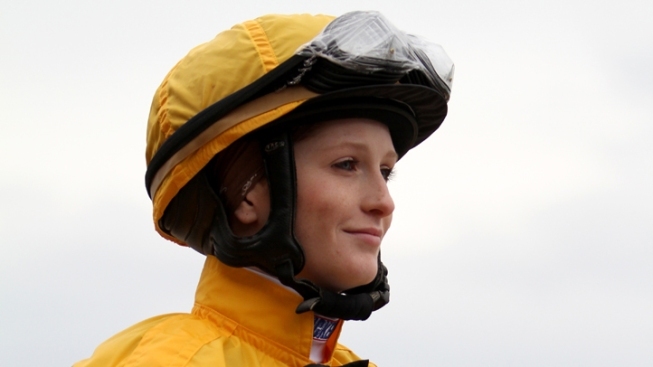 Mylute will run in next weekend's Preakness Stakes, giving Rosie Napravnik a chance to become the first female jockey to win the middle jewel of the Triple Crown. Trainer Tom Amoss says he talked with Mylute's owners, and they decided to take on Kentucky Derby winner Orb next Saturday at Pimlico. Mylute finished fifth in the Derby, giving Napravnik the highest finish by a woman rider in that race. "Get your PREAK ON baby I'm coming home ;-) I promise you there is no other jockey who wants to win the (hash)Preakness more than me! MYLUTE" she wrote on her Twitter account before adding: "Ok maybe Rosario. But I bet it's just been added to his list recently haha." The reference was to Joel Rosario, who will be aboard Orb. Amoss said Mylute will travel to Baltimore on Wednesday. The decision to run was made after Mylute jogged a mile and galloped two miles over a muddy track at Churchill Downs on Saturday.